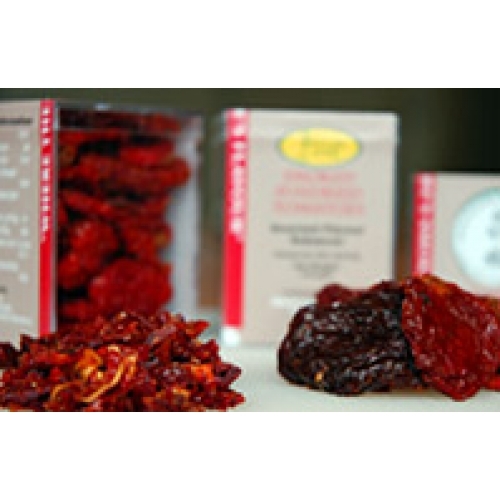 Smoked Sundried tomato has three times the flavour intensity of normal sundried tomatoes. Cut finely or dice to enhance any type of salad, quiche, bacon & egg pie, soups and stews. Infuse chopped sundried tomato into a good oil i.e. rice bran, pure olive oil, finely dice and add to pizza as it cools.